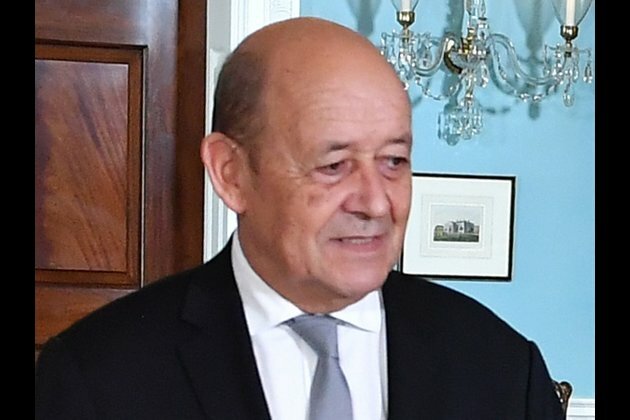 Paris [France], Dec 10 (ANI): Two days after United States President Donald Trump criticised the French government over the violent 'yellow vest' protests, French Foreign Minister Jean-Yves Le Drian has warned the US President not to meddle in France's internal matters. On Saturday, Trump had condemned the ongoing fourth weekend of yellow vest protests across France which are being staged against the hike in fuel taxes, linking it to the "ridiculous and extremely expensive" Paris Agreement. night in Paris. Maybe it's time to end the ridiculous and extremely expensive Paris Agreement and return money back to the people in the form of lower taxes? The US was way ahead of the curve on that and the only major country where emissions went down last year!" he had tweeted. Responding to the same, Le Drian said: "I am telling Donald Trump, we do not take part in the American debates, let us live our life of a nation. Do not interfere in French politics," according to Anadolu News Agency. In a strongly worded statement, the French Foreign Minister stressed that France does not interfere in American politics and the US should reciprocate. Trump had also criticised the Paris agreement, tweeting: "The Paris Agreement isn't working out so well for Paris. Protests and riots all over France. People do not want to pay large sums of money, much to third world countries (that are questionably run), in order to maybe protect the environment. Chanting "We Want Trump!" Love France"
In response to this, Le Drian said that most American citizens were unhappy with Trump over his decision to back out from the Paris Agreement. The yellow vest protests, which initially began as a campaign against skyrocketing fuel prices, has expanded into a huge agitation over discontent on a wide variety of issues against the French government in recent weeks. The protests on Saturday were the fourth in a series that culminated into the worst rioting in France for decades. Thousands of protesters were seen donning the 'gilets jaunes', the yellow fluorescent vests that have symbolised the movement. A number of France's monuments, including the iconic Eiffel Tower in Paris, remained closed as authorities had anticipated a repeat of last week's violence, deploying over 8,000 policemen in the French capital to maintain order. Earlier this week, the Emmanuel Macron-led French government decided to scrap the hike in fuel taxes amid fears of an outbreak of fresh protests in the country. While protesters have welcomed the move to drop the tax hike, others said it will not be enough to curb the public outrage.